Home » Featured Articles » Students Receive Letter from Dr. Dorn! Students Receive Letter from Dr. Dorn! This is the letter that the KFWH Chapter at Murray Avenue School received from Dr. Dorn after donating money to fund nutrition packets for women who are being treated for Chagas Disease. 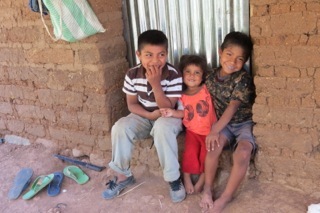 I want to thank-you very much for your generous donation of $5,000 to help eliminate Chagas disease. As you know, it is the most serious parasitic disease in Latin America and many people suffer and die from this disease. The medication that is available causes troublesome side effects – one of these is that they lose so much weight they are not able to finish the treatment. Your donation means that the women receiving the treatment (they get treated first since they can pass the parasite on to their babies) will have adequate nutrition so that they can finish the treatment and hopefully be cured. 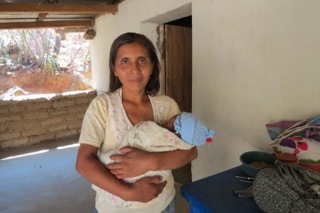 Many people in these villages don’t have enough to eat, especially this year as they have had a drought so the corn, used to make the tortillas, didn’t grow. The women love their children so they share the extra food they get with their families. Can you imagine accepting extra food and not sharing it with your children? Well, they can’t either so to provide the women with adequate nutrition, we need to supply enough for them to also share with their families. 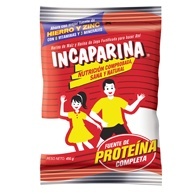 Incaparina is a protein supplement that will be provided by your donation. Here is a photo of Incaparina – you may even be able to find it in Latin grocery stores here and try it for yourself. We drink it while we are out in the field collecting bugs and it is quite delicious. Your donation will make a difference in these people’s lives. With enough to eat the women can finish the treatment and not pass the disease on to their babies. Thank-you for your generosity.